Have you ever been lost in a large conference center or hotel? It’s a common experience in many large venues, and when your event is underway, time lost is time wasted. Thankfully, indoor positioning systems offer a solution. Here, we’ll explore how indoor positioning systems work, and how you can use them to make your event stand out from the rest. 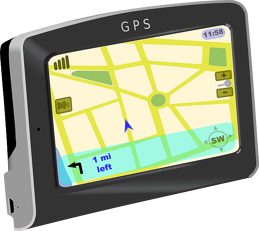 You’ve heard of GPS (global positioning system), the satellite-based system of navigation that guides your car when you use a maps app. GPS can direct you to a venue, but once you’re inside (and out of satellite range), it’s no longer effective. Just like GPS devices, indoor positioning systems (IPS) offer pinpoint location accuracy, interactive mapping and point-by-point directions, but they work inside the venue. How does an indoor positioning system work? 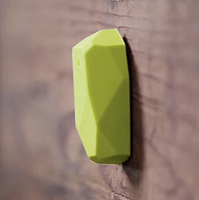 Apple released a proximity sensing technology known as iBeacon in 2013, paving the way for IPS. Beacons use Bluetooth (combined with other mobile tech) to pinpoint an app user’s location, and they come in two forms: stationary and wearable. Let’s take a quick look at the differences. Stationary beacons attach to a wall or counter top and transmit signals directly to bluetooth-enabled devices. These beacons are used with wayfinding apps like AppAtlas (a wayfinding app from the creators of MeetingPlay). When the AppAtlas team sets up at a new venue, beacons are installed in meeting rooms, restaurants, pool decks, ice machines and everything else the client wants to map. Once the beacons are installed, guests turn on bluetooth and navigate with a map or follow step-by-step directions to locations inside the venue. Wearable beacons are even smaller pieces of hardware that can be attached to lanyards. As your attendees move, so do their beacon signals, allowing them to use wayfinding and other mobile app features from anywhere in the venue. Event planners can use either type of beacon to utilize helpful event apps features. Why should an event planner use an indoor positioning system? With an indoor GPS system, you can provide step-by-step directions to meeting rooms, vendor booths and everywhere else your attendees and vendors need to go. IPS eliminates the frustration of getting lost at an event venue, and creates more time for networking — a major plus for everyone at your event. And there are additional advantages of using beacons at your event. You can incorporate proximity marketing and location-based notifications such as session check-ins and post-session surveys. Wearable beacons also makes it easier for attendees to locate their networking matches and other people they’re interested in meeting. IPS also creates a trove of data, enabling meeting planners to determine where attendees spent their time and which presentations and vendor booths were popular. If you’re looking for ways to impress and delight your attendees (and gather valuable data), indoor wayfinding and wearable beacons are a great option. 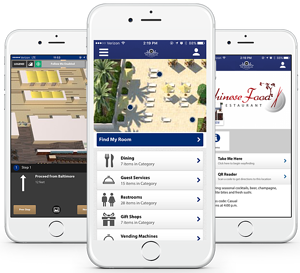 To learn more about how to use wayfinding and event apps, contact us and discuss your event with a MeetingPlay expert.